208 pages | 6 B/W Illus. This book is concerned with European identities among ethnic minorities who live along the eastern border of the European Union. Based on findings from quantitative and qualitative empirical research conducted with minority groups in eight nation-states on both sides of the new eastern border of the EU, it investigates their attitudes and perceptions of the EU based on their constructions of European identity. 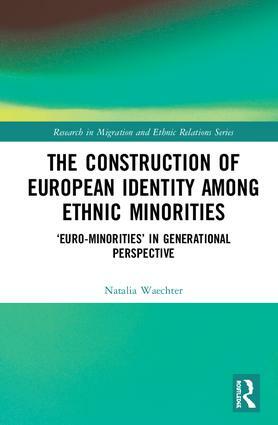 Adopting a comparative approach, the author explores different processes of identity construction across several age and ethnic minority groups, to develop a theory of European identities in which ethnic identities can be seen as a missing link in explaining relationships between different national, regional and supranational identities. With new insights regarding the political, cultural and instrumental contents of European identity and its emergence, this volume will appeal to scholars of sociology and politics with interests in ethnic identity, European integration and identity research. 8. Conclusions: What do we learn from Euro-minorities? The Research in Migration and Ethnic Relations series has been at the forefront of research in its field for over ten years. The series has built an international reputation for cutting edge theoretical work, for comparative research, particularly on Europe, and for nationally-based studies with broader relevance to international issues. Published in association with the European Research Centre on Migration and Ethnic Relations (ERCOMER), Utrecht University, it draws contributions from the best international scholars in the field, offering an interdisciplinary perspective on some of the key issues facing the contemporary world.